On late Tuesday night (actually, early Wednesday morning) Brampton City Council made disappointing and harmful decision by voting against the Hurontario-Main LRT, a 23.2 kilometre, $1.6-billion light rail line, whose construction costs would be fully covered by the province. This followed another marathon meeting back in July in which a final decision was delayed to allow for further study and a possible compromise. The mayor, Linda Jeffrey, and four councillors (Gurpreet Dhillon, Pat Fortini, Marco Medeiros, and Gael Miles) supported the project, but six councillors (Jeff Bowman, Grant Gibson, Elaine Moore, Michael Palleschi, John Sproveiri, and Doug Whillians) voted against. The final vote was 7-4 against the LRT, with Jeffrey mistakenly voting with the majority, but the 6-5 vote against a modified downtown routing in an last-minute attempt to sway opponents should be considered the true decision. The Hurontario-Main corridor was selected for LRT simply because it is one of the busiest transit corridors in the Greater Toronto Area outside the City of Toronto; it connects three GO lines and several major bus corridors, it would help urbanize south Brampton and several neighbourhoods in Mississauga. It’s part of a larger regional network, yet six city councillors in Brampton, looking out for narrow, local interests, sunk it. Now transit advocates elsewhere are looking to capitalize on Brampton’s loss: at least $200 million of the province’s money won’t be spend. For example, advocates in Hamilton are looking for an opportunity to expand their funded LRT network with Brampton’s cash. The Hurontario-Main LRT, after Tuesday’s vote. 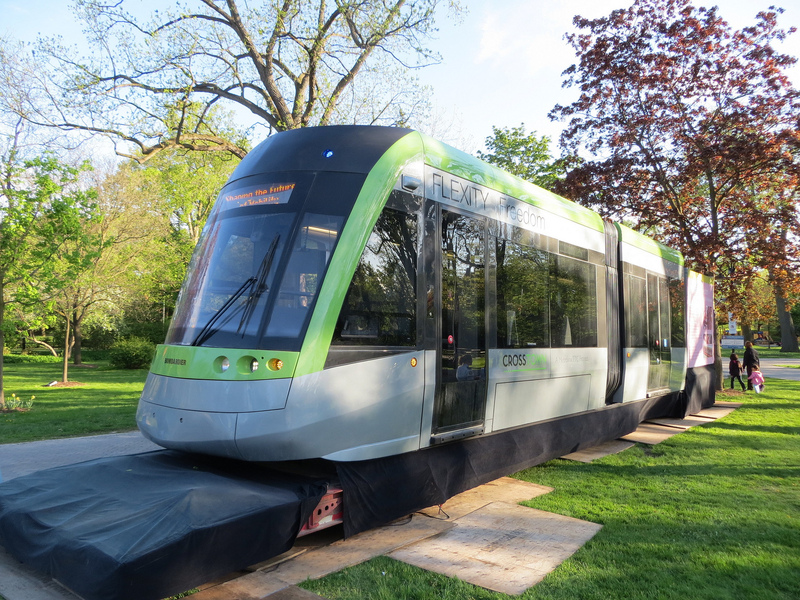 The arguments against the LRT included heritage concerns (as if trams aren’t found in the centres of historic cities such as Vienna, Istanbul, Brussels, and Amsterdam), claims of low ridership (which were written about by the Toronto Star’s San Grewal), concerns about operating expenses. Some councillors suggested that Queen Street should get LRT first. Others took exception to the fact that most of the route (17.6 kilometres, 19 stops) would be in Mississauga, while only a quarter of the line would operate within Brampton (5.6 kilometres and eight stops) But one cannot dismiss the NIMBY factor – some of the biggest opponents were wealthy homeowners on Main Street. Even former Premier Bill Davis, long regarded as a friend of cities and public transit, came out publicly against the LRT. Davis will long be remembered for stopping destructive expressways, but won’t support public transit when it runs down his street. Opponents suggested other routes, or tunneling under Main Street. But those alternatives were more expensive, more difficult, less convenient for riders, and weren’t going to be funded by the province. These suggestions were studied by city staff and outside consultants and rejected. Yes, Queen Street is Brampton Transit’s busiest corridor. Yes, the ridership will be lower north of Steeles Avenue than through central Mississauga. Yes, there will be some traffic impacts on Main Street. But there’s no current planning study for a potential Queen Street LRT; a route hasn’t been chosen (would it go to the Spadina Subway extension to Vaughan? York Region would have to be on board), there’s no funding on the table, and the Hurontario corridor in Mississauga is a lot busier than Highway 7 in York Region. And yes, Mississauga benefits more from the LRT. But Mississauga has a larger population, a much larger transit ridership, and more jobs. By connecting to Downtown Brampton, the LRT increases mobility for the entire region, connects to the Kitchener GO line, and allows for direct transfers to the 501 Queen Zum, Brampton’s busiest bus route. It is part of a regional transit network; it would have made it a lot easier for trips, for example, between Downtown Guelph and Mississauga City Centre. Today’s news that anti-LRT councillors are now going to seek federal funds for transit expansion makes me want to tear my hair out. 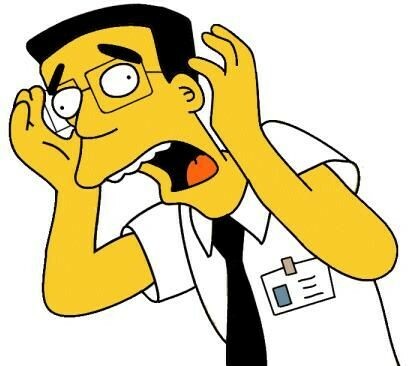 This image of Frank Grimes pretty much describes how I’m feeling right now. Just adding to my frustration, I read today that Councillor Bowman, who helped sink the Main Street section of the LRT, is now going to look for transit funding from the newly elected Liberal federal government. In the article, Bowman suggests that since Brampton elected five new Liberal MPs, helping to defeat the Conservatives, it was time to “leverage” that support. Payback, if you will. But there are no other plans to hold up, nothing that’s “shovel-ready.” There will be no ribbon-cuttings for Liberal MPs and cabinet ministers to attend anytime soon. If looking for money from a new federal government – one that’s so far very friendly with their provincial counterpart – it would have looked a lot better to have approved the transit that the province, and a majority of Bramptonians, wanted, and then ask for additional funds to build on that. Advocating for a potential Queen Street LRT would be a lot when there’s an existing line to connect it, and a strong transit-focused hub to anchor it. So, to sum up, Brampton city councillors threw away at least $200 million for a light rail project that they didn’t want, a gift-wrapped transit opportunity from the provincial Liberal government. Now they will be looking for new transit funding for alternative transit routes, which have yet to be planned, from the federal Liberal government. Good luck with that. This entry was posted in Brampton, Politics, Transit and tagged Brampton, Hurontario-Main, LRT, Mississauga. Bookmark the permalink. The argument that Mississauga is getting more is the most painful, as the vote as it is means that this will be so to an even greater degree. Regionally it was important that it link to the Brampton GO, and this would have helped to create a hub there. Oddly I would argue, that it would easier to argue for an east – west LRT with a north- south one in hand. If you want LRT on Queen, it would be easier to argue for – with a much larger potential ridership base – provided from a large linking rapid transit line. The LRT was a top down ram by the province. Tax-payers do not need this make work program built, not for practical reasons but mere prestige and spotlight. Brampton council made a difficult but wise decision. I have new respect for this council. I don’t agree with your respect for this council, and I will cite two timely reasons, not related to the LRT. non-LRT related reasons. Earlier in October, council raised their salaries. But since they also eliminated the tax-free portion of their pay, that was quite reasonable. But what I took issue with was their new $14,927 car allowance. Councillors who voted for taxpayers to subsidize their own private automobiles refuse to invest in transit. Then there was anti-LRT councillor John Sprovieri’s leak to the press on an ongoing Susan Fennell-era issue. The Integrity Commissioner recommended docking Councillor Sprovieri’s pay as a the appropriate sanction to that breach, but council strangely voted against it. So I have trouble having much respect for this council.